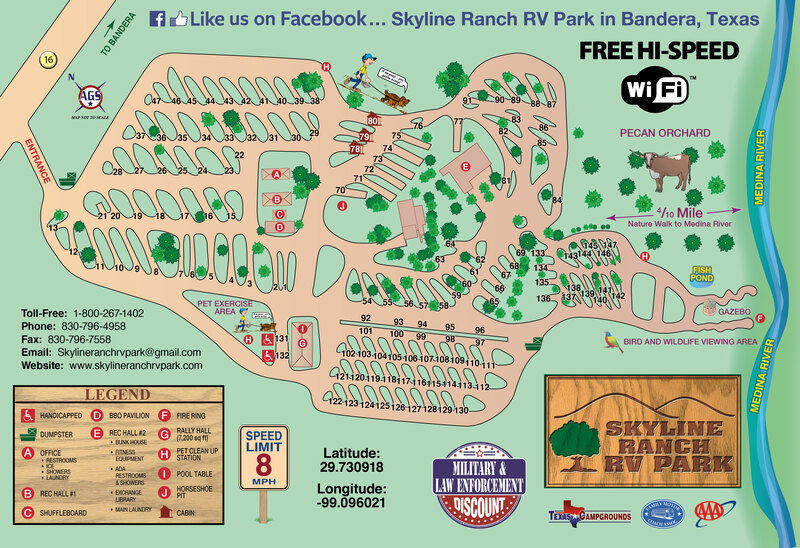 Just in.... major improvements at the Skyline Ranch RV Park.... FREE Hi-Definition Satellite TV.... FREE Hi-Speed Internet. Quiet country atmosphere in the beautiful Texas Hill Country just a mile from historic Bandera, Texas, "The Cowboy Capital of the World." A quick glance at your map will show you Bandera's location nestled between the world class attractions, services, medical care, history, and charm of San Antonio, Austin, Kerrville and all points in between. The 130 sites are mostly pull-thrus and accommodate big rigs with multiple slide-outs. Many sites have majestic oaks and other large trees, but there are ample open sites, also. 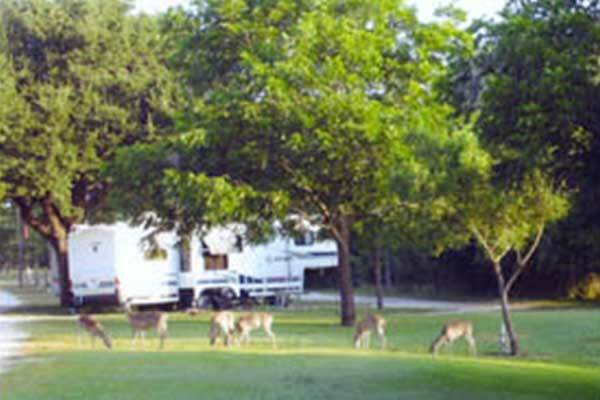 The Skyline Ranch offers extensive water frontage on the beautiful Medina River, just a short 1/4 mile walk from your RV site. There is a large picnic area overlooking the river. Nature trails provide a great opportunity to view white tail and axis deer, wild turkeys and numerous bird species. 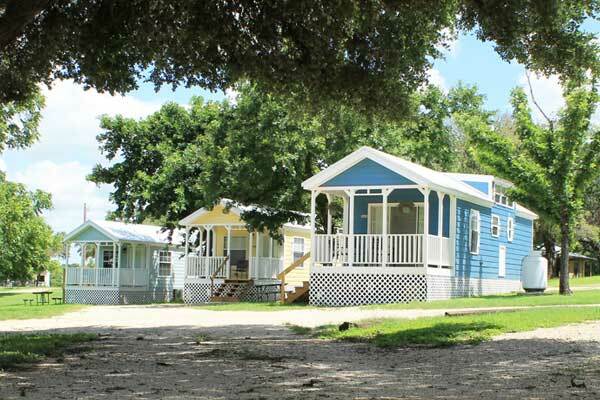 Also, trophy Texas Longhorn steers and miniature donkeys can be viewed in the scenic pecan orchard. Great for photography buffs, artists, birders, fishermen and women, readers, agriculturalists, water lovers, naturalists, bikers, cyclers, and you! And don't worry, if home or work calls, handle it with the confidence of FREE High-Speed Wi-Fi. 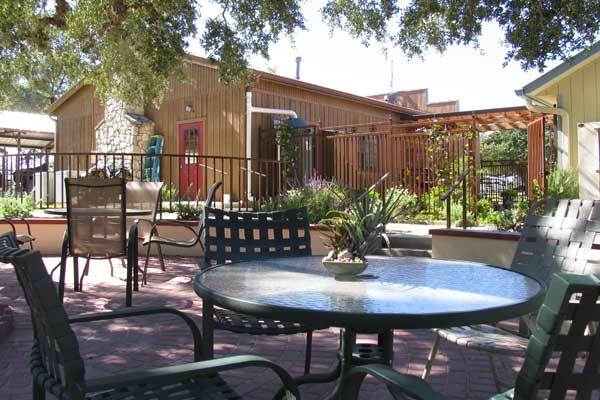 2 Recreation Halls offering full kitchens, central air-conditioning and heat and tables and chairs for multiple events. The "Rally Hall" has 7200 square feet that includes a stage and sound system; the acoustics are great! The "Rec Hall" is a more intimate setting with a Texas-sized fireplace, designed for anything from games and gatherings to simply a good spot to share a cup of coffee with your family and friends. "Enjoy the texas hill country"